This is an appeal arising from a deportation order that was issued to the appellant, Shanthanagopal SIVAPATHAM on January 7, 1998. The deportation order arose from an inquiry that found the appellant to be a person described in section 27(1)(d) of the Immigration Act, that being a person who had been convicted of a crime for which a term of imprisonment of more than six months has been imposed. The appellant is appealing under section 70(1)(b) of the Act. That is, on the grounds that having regard to all the circumstances of the case, the person should not be removed from Canada. Counsel for the appellant has indicated that the appellant is not questioning the legal validity of the deportation order. And so I find that the deportation order is valid in law. Now, the reasons for my decision will touch on some of the factors set out in Ribic. [See Note 1 below] I am going to begin with the issue of the seriousness of the crime for which the appellant was convicted. The appellant was convicted was arrested in June of 1996 in relation to an incident which had occurred in 1988. Note 1: Ribic, Marida v. M.E.I. (IAB T84-9623), Davey, Benedetti, Petryshyn, August 20, 1985. The appellant was subsequently convicted of aggravated assault. He was given a sentence of three years. I consider that a serious sentence in light of the appellant not having had a criminal record prior to that time. It is clear to me that the judge in the criminal proceedings clearly considered the appellant to have committed a serious crime. We have heard from the appellant today that in fact what he did was stab a person in the side requiring that person to be hospitalized for a couple of weeks. I find that any violent crime using a weapon, like a knife, is a serious crime. Now, with respect to remorse, I want to begin with reviewing the appellant’s evidence concerning the delay between the 1988 commission of the crime and the eight years that passed before June 1996 when he was arrested for that 1988 offence and ultimately convicted. The appellant’s evidence is that after the incident in 1988, he remained on the scene of the crime. When the police arrived, he confessed to the crime. He made a full statement to the police. He was released on bail and given a court date. He subsequently found that his father in Sri Lanka was seriously ill. He left Canada and returned to Sri Lanka in early 1989 with an understanding that the criminal charges arising from the stabbing incident would be resolved. He felt that because he had paid $2,000 to the victim. He understood from the victim that the victim was not going to press charges and there were other persons involved in mediating a resolution to the incident. This was the appellant’s understanding. I note for the record that the victim was a person from appellant’s village and the appellant was in contact with other people from his village in 1988. And hence, when he left the country in early 1989, he understood that a mediated outcome would result. He was unable to return to Canada after a month in Sri Lanka in 1988 for reasons beyond his control. I might return to that in a minute. 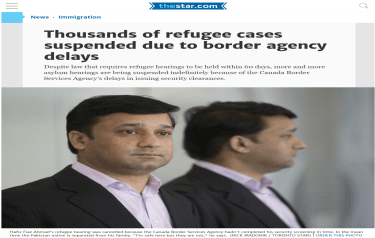 He did, however, return in 1994 at which time he presented himself as acknowledged by the respondent to Canadian Immigration officials at the border, gave his real name, gave his social insurance number and subsequently he appeared before an adjudicator and his landed status was given back to him in 1994. His evidence is that he also received a student loan wherein presumably he would have disclosed particulars concerning his personal circumstances. And from all this evidence, I find that there ‘s no indication that the appellant sought to evade Canadian authorities when he returned from Sri Lanka in 1994 concerning the 1988 stabbing incident. Further to remorse, the appellant has expressed remorse today. He has stated that he is sorry for what he did. He acknowledges the seriousness of having stabbed this victim and the hurt that the victim suffered. He acknowledged that the victim had to remain in hospital. He states that in view of the harm that he inflicted on the victim, he gave the victim $2,000 shortly after the incident. Further, there is the appellant’s evidence that he admitted his guilt to police at the scene of the crime. He remained at the scene of the crime. He pled guilty at his eventual trial. And, in light of all of this evidence, I find that the appellant has indicated considerable and consistent remorse in relation to the crime he committed. Concerning rehabilitation, there is no evidence of any recurrence of criminal activity after the 1988 incident nor since his return to Canada in 1994. Note 2: Exhibit A-2, various certificates. I note that the appellant has been employed almost consistently since his release in March of 1998. I also take note of the very favourable report of the Toronto Bail Program witness, Ms. Susan Barrett. And apart from the very supportive words she has spoken today in support of the appellant’s rehabilitation, just her presence today and her willingness to come down and speak in favour of the appellant certainly adds support to the appellant’s case with respect to his rehabilitation. Further concerning rehabilitation, the appellant has adduced evidence that he has actively pursued means to ensure his mental health. He has acknowledged that he was under the influence of alcohol when he committed his crime. Since then, he has taken therapy, counselling in alcohol abuse while he was jail. He testified that he had a very trying, difficult, violent, and painful five years in Sri Lanka. He was terribly depressed when he returned to Canada in 1994. He has given credible evidence today that he saw a doctor and was on medication for a period of time. Further, he has sought therapy and counselling from the Canada Centre for Victims of Torture. [See Note 3 below] This evidence indicates to me that the appellant did actively pursue means to improve his mental condition. And that certainly speaks to a change from his conditions in 1988 when according to his evidence he was drinking alcohol and living a lifestyle which led to his stabbing this other fellow. Note 3: Exhibit A-1, letter dated December 23, 1998 from Ezat Mossallanejad, Ph.D., Counsellor, Canadian Centre for Victims of Torture. Further to his rehabilitation, I note the evidence of his studies found in Exhibit A-2. And finally, his evidence that he stopped taking alcohol when advised by his doctor to do so when he was taking medication for his depression. This indicates the appellant’s insight into the harm that alcohol could cause him. For all these reasons, I find that the appellant has demonstrated today adequate rehabilitation in relation to his past lifestyle and past activities which led to his criminal conviction. Finally, in respect to establishment, I find that the evidence we have concerning the appellant’s comportment in Canada from 1985 to 1989 certainly does not indicate a strong or a positive establishment in this country. We have his evidence of his drinking and we have the evidence of the 1988 incident where he wound up in a fight with a housemate and a serious stabbing, a violent act. However, when turning to the evidence of his establishment since his 1994 return to Canada, we have evidence that he availed himself of Canadian authorities upon his arrival in 1994. He has working virtually full-time since his arrival in Canada and certainly since his release from jail. He studied in jail. He has had a student loan. I note his sister is available today. She was available to speak for him. The presence of the Toronto Bail Program staff person and the counsellor from the Canadian Centre for Victims of Torture and his letter found in Exhibit A-1 all speak to what, in my mind, is an adequate degree of establishment since the appellant has been released. For all these reasons, I find reason to consider the appellant not to be a danger to society today. He is a person who has expressed remorse for the crime he committed in 1988. I find that in the intervening time, there is no evidence that the appellant has maintained the lifestyle that led him to commit his crime. I find that the evidence since 1988 indicates, in fact, the opposite. The appellant has significantly changed his demeanour such that I find there is very little likelihood that he would re-commit any offence similar to that which he did in 1988. For all these reasons, I find reason to quash the deportation order. That is my decision. The appeal is allowed pursuant to section 70(1)(b). The Immigration Appeal Division orders that the appeal be allowed. The removal order made the 7th day of January, 1998, is in accordance with the law, but, having regard to all the circumstances of the case, the appellant should not be removed from Canada. The Immigration Appeal Division also orders that the removal order made the 7th day of January, 1998, be quashed. Dated at Toronto this 1st day of February, 1999. You have the right under ss. 82.1(1) of the Immigration Act to apply for a judicial review of this decision, with leave of a judge of the Federal Court – Trial Division. You may wish to consult with counsel immediately as your time for applying for leave is limited under that section.